Warning: This post is almost certainly useless, and probably a waste of your time. 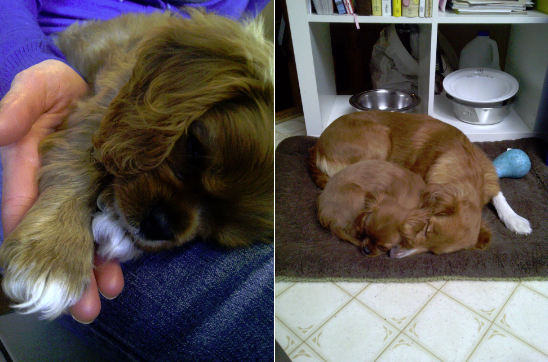 The other day I tweeted about compiling a post composed solely of pictures of my puppy sleeping. 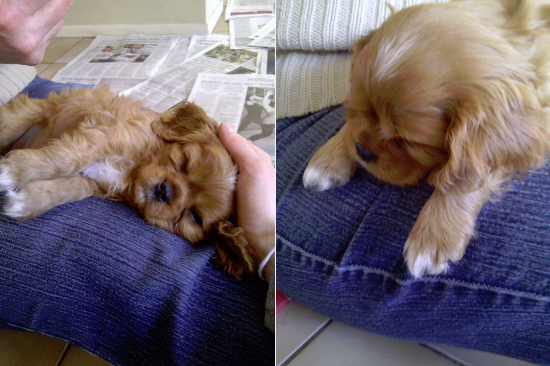 Since then I have been taking a lot of sleepy pictures of him in preparation, thinking that I would need to collect them over the course of a few weeks. But then this morning I decided to take a look and see how many pictures I have already. As it turns out, I have a lot. 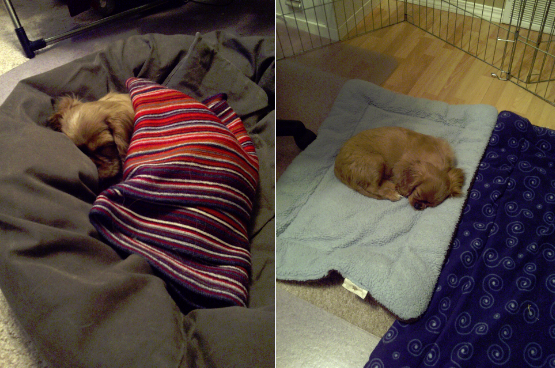 Presumably I have nothing better to do than sit around taking pictures of my poor, unsuspecting, snoozing puppy. I realised that if I wait much longer, I’ll end up having hundreds of these pictures, and this post will never come to fruition. Or if it does, there will end up being so many photos that it will be impossible to look at them all before dying. I figured I’d better do it now. I mean…. on the one hand I could get a life, but nahh… let’s make them into a blog post! 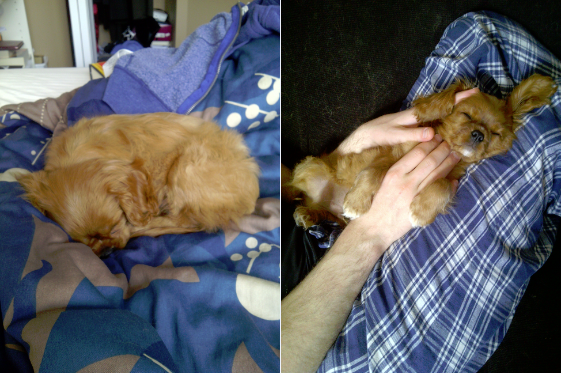 How to sleep and look cute at the same time, as presented by Rupert. Well, I hope you enjoyed that. Feel free to leave your awwws in the comments. 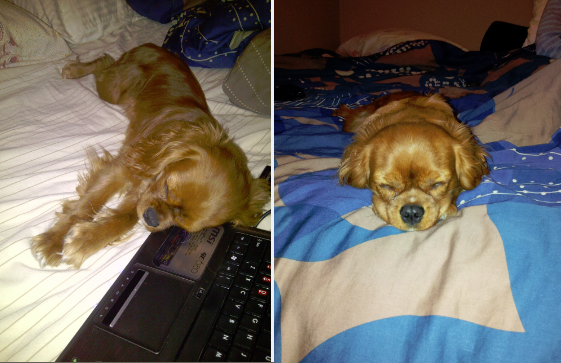 Or better yet post a link to your sleeping puppy! Or cat, or fish, or hedgehog… I’m not picky. Hey, I can’t seem to find your email. I had a quick question about your blog! Can you email me?